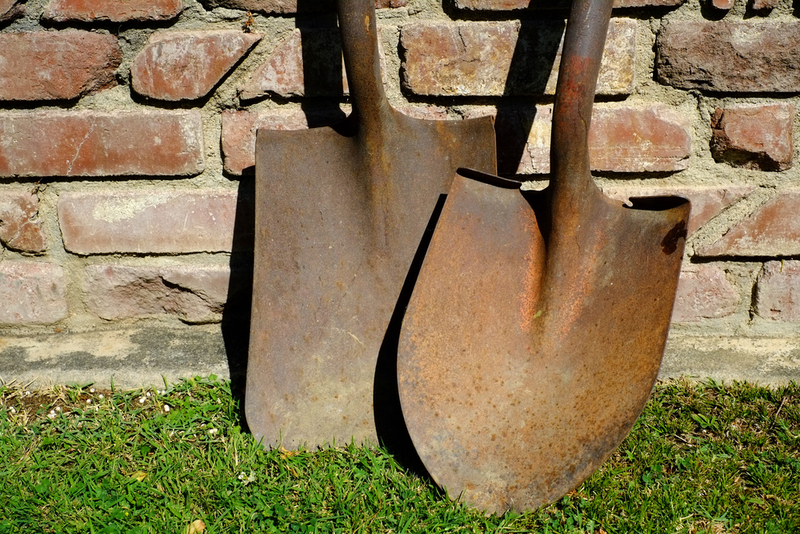 Servicing and storing your garden tools is an important part of ensuring they stay in good condition and last for years to come. Regular cleaning and oiling will prevent rust, keep them sharper and help the handles stay solid and strong. 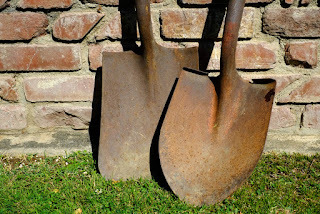 Wet and heavy soil left on a spade will lead to rust. When the blade is rusty and not smooth, more moisture and soil sticks to the blade, making digging even more difficult. Ideally you should clean your tools after each use, but even at Hedgehoggs Gardening we sometimes don't get around to doing this all the time. This makes a comprehensive tool maintenance in December even more important. Safety first! Wear gloves, goggles and dust mask when working on tools. Give your blade and handle a good scrubbing with water to remove any remaining mud and grit. Dry with old towels and leave them to dry overnight to avoid trapping in any moisture. Sand wood handle to remove any splinters or chips in the finish. Use a metal file to lightly sharpen the edge of the blade. The key is to give it a nice clean edge. Beware not to grind away too much of the metal. Add several coats of Danish oil to wooden handles, making sure to let previous coats fully dry before applying next coat. If your handle is metal, brush off as much rust as possible and paint 2 coats of hammered enamel paint. Hang up your tools rather than standing them on their edges.